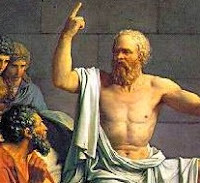 Socrates Test of Three - Truth, Goodness and Usefulness - Motivate Amaze Be GREAT: The Motivation and Inspiration for Self-Improvement you need! The ancient Greece it's widely regarded as one of the most outstanding eras in world history. From body culture to mind development, most of the things we today know came from this time. Philosophy was one of the highlights of course, and Socrates one of the most prolific author. “Socrates, do you know what I just heard about one of your students?" "Wait a moment," Socrates replied. "Before you tell me I'd like you to pass a little test. It's called the Test of Three." "Before you talk to me about my student let's take a moment to test what you're going to say. The first test is Truth. "So you don't really know if it's true or not. Now let's try the second test, the test of Goodness. "You may still pass though, because there is a third test - the filter of Usefulness. The man was defeated and ashamed, just leaved. Moral of the story: People talk to much but know too little. Moral for your success: This is a matter of time managing and knowing your values in life. Don't waste time talking about what you don't know. Don't waste time listening to what people also don't know and it's not the truth. 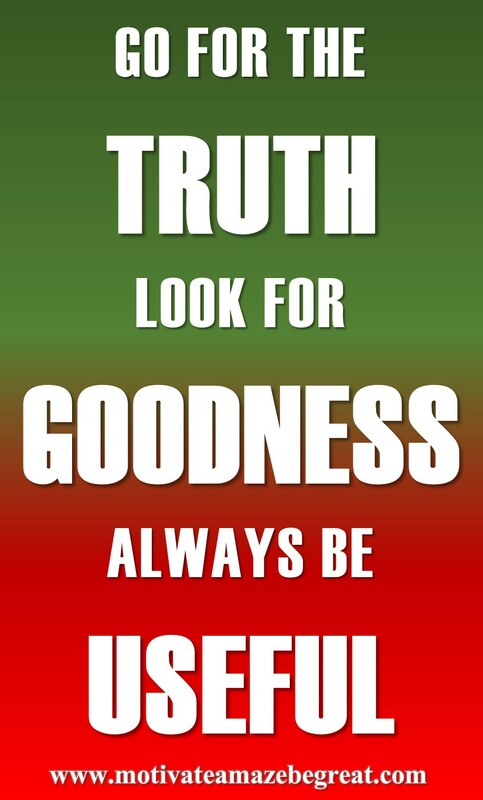 Go for the Truth, look for Goodness and things that are Useful. That's the person you've became or aspire to become, go for it! Inspire others to be the best they can be, not gossip and crappy talk.